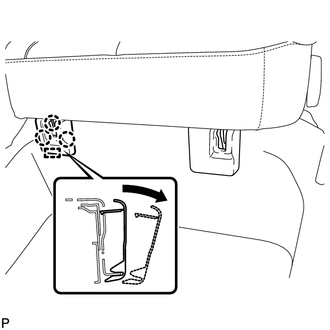 (a) Press the headrest support button and pull up the headrest as shown in the illustration to remove it. 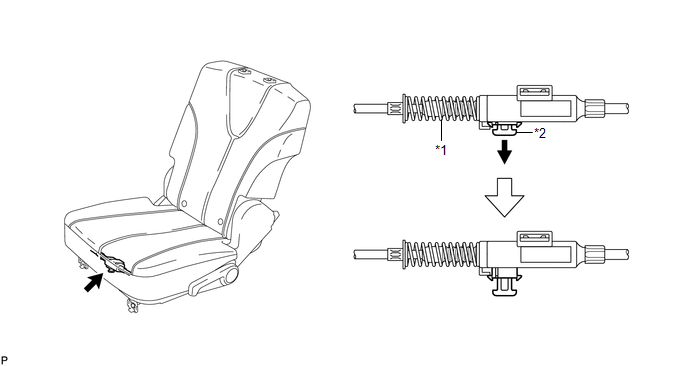 (a) Disengage the 3 claws and guide, and remove the rear seat inner track bracket cover as shown in the illustration. 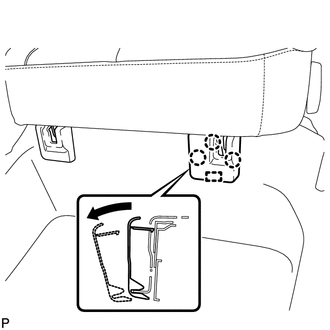 (a) Disengage the 3 claws and guide, and remove the rear seat outer track bracket cover as shown in the illustration. 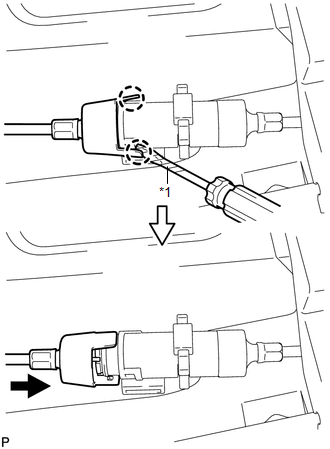 (a) Pull down the adjuster's lock piece to release the lock as shown in the illustration. 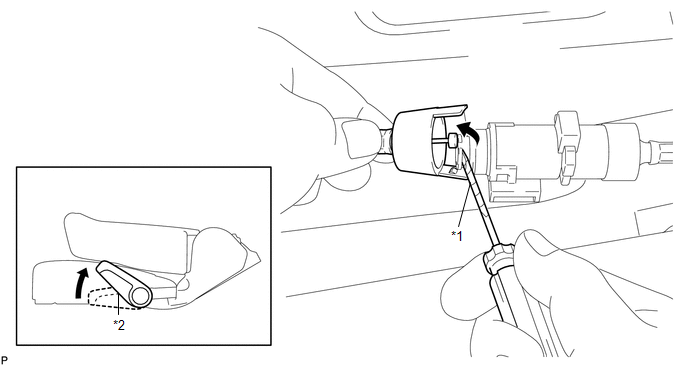 (b) Using a screwdriver wrapped with protective tape, disengage the 2 claws as shown in the illustration. 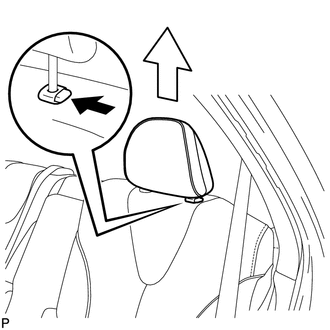 (c) Lift up the seat track adjusting handle to the uppermost position and hold the handle in this position as shown in the illustration. 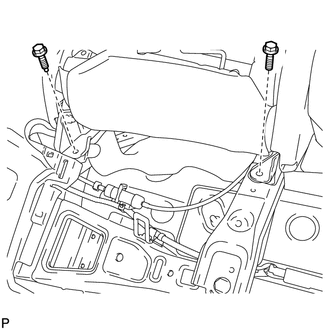 (d) Using a screwdriver wrapped with protective tape, disconnect the rear seat reclining control cable sub-assembly as shown in the illustration. (e) Secure the rear seat No. 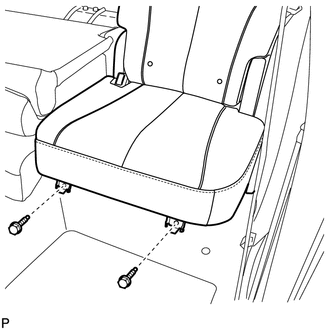 2 reclining control cable sub-assembly with the carpet hole as shown in the illustration. (a) Remove the 2 bolts on the rear side of the seat. (b) Remove the 2 bolts on the front side of the seat. (c) Remove the rear seat assembly LH.